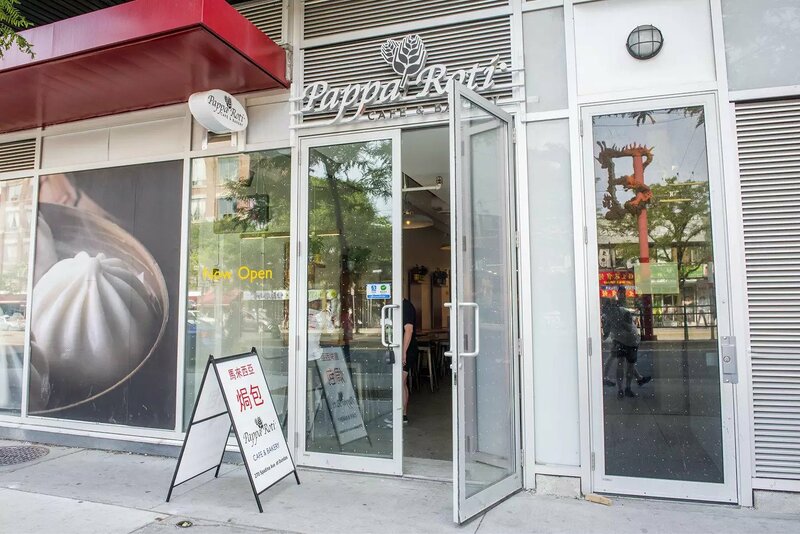 PappaRoti specializes in sweet Malaysian caramel coffee buns, rather than (as I first suspected) the savoury Caribbean- and Indian-style roti curry wraps that Toronto knows and loves so well. 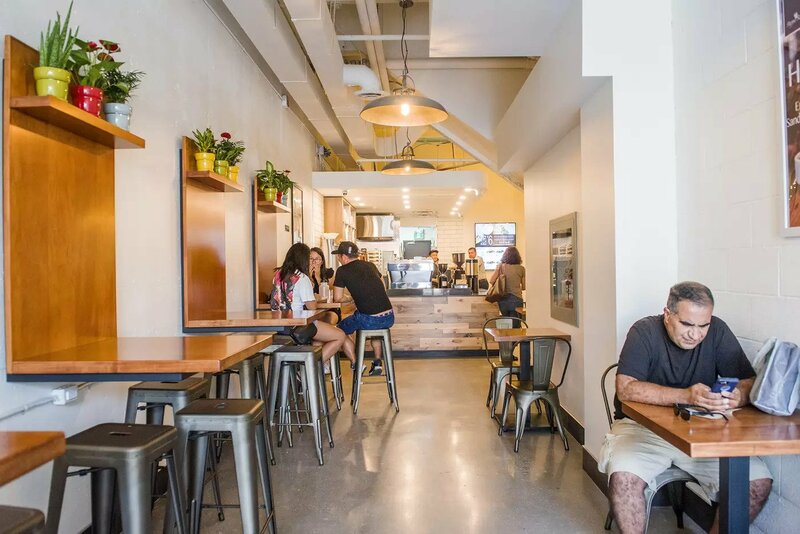 Unlike the flagship location in Vancouver, this Toronto Papparoti is relatively small and unassuming. Once inside there’s a surprisingly amount of space, USB outlets and even a larger meeting-style table at the back. 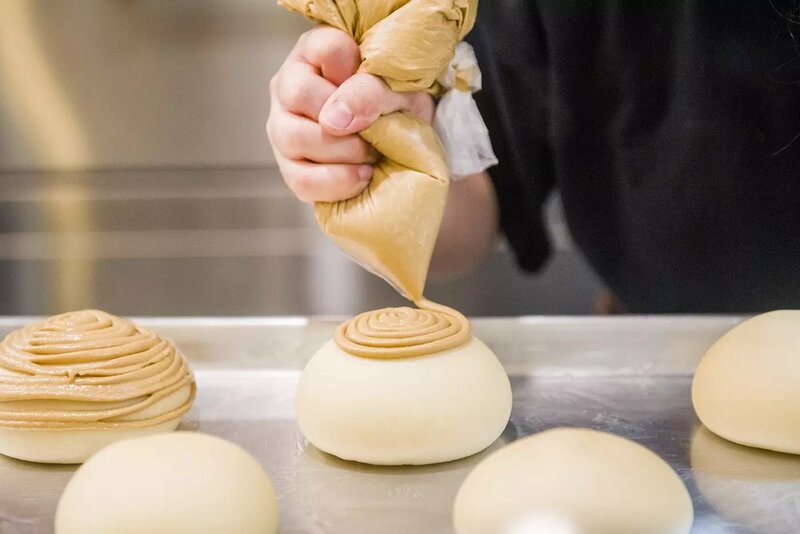 Buns are shipped from Malaysia, then proofed, topped with coffee caramel cream, and baked here. The Original Bun ($4) is incredibly crispy and crackly on the outside, and hollow and airy on the inside with a pocket of salted butter in the middle. 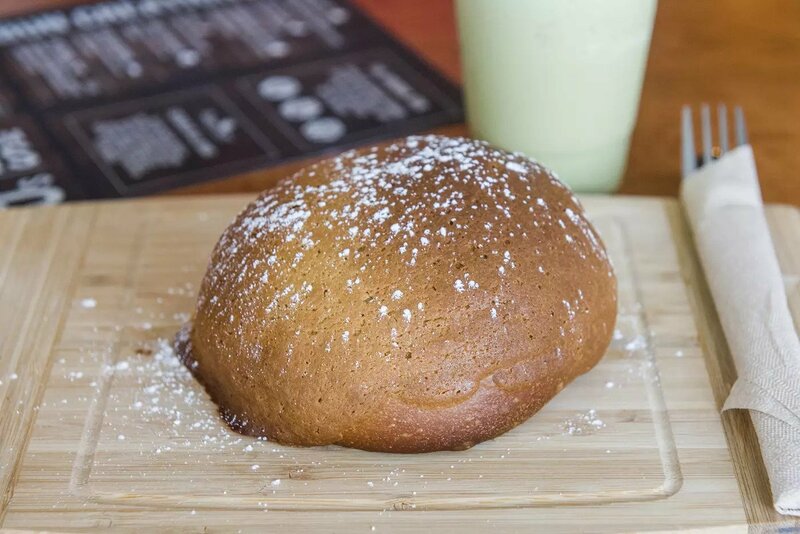 The coffee caramel cream cooked into the stiff, sweet exterior makes it taste a little like a pancake or waffle; other than the bun itself almost tastes like a plain buttery dinner roll. 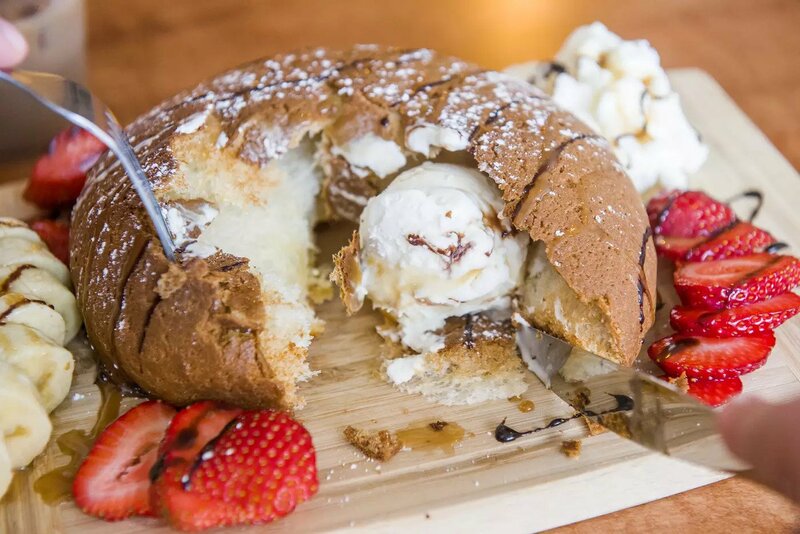 Ice Cream Buns ($6) are also made using these roti buns, filled with your choice of ice cream and toppings. 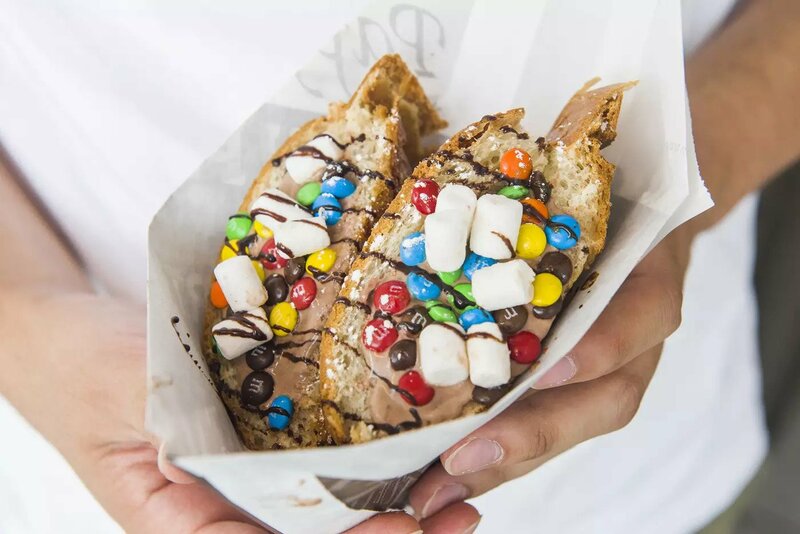 The buns are then grilled waffle-iron-style so they get a crispy, warm, exterior, the ice cream becoming slightly melty but staying cold inside. 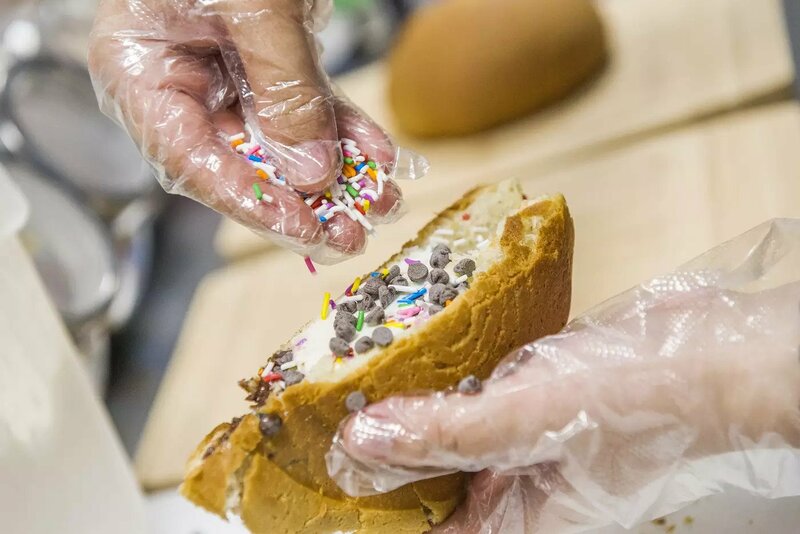 The warm sandwich is then cut in half and sprinkled with yet more sugary toppings. 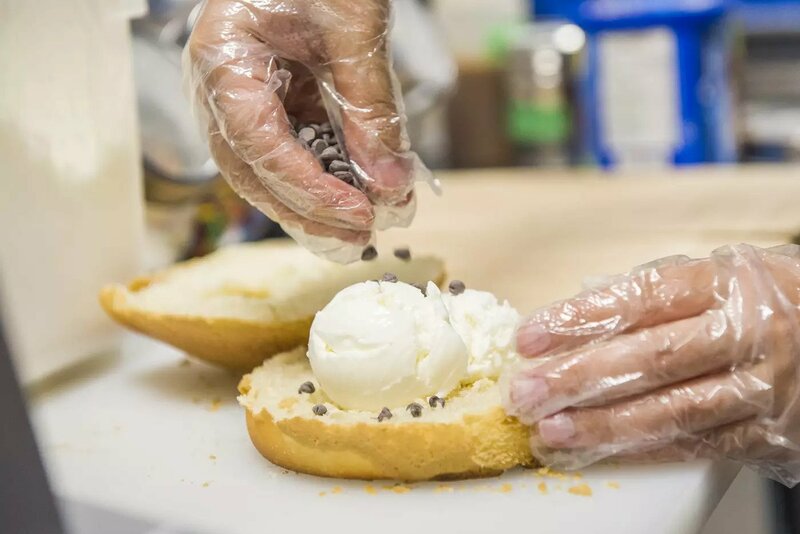 The effect is something like that of a pancake or waffle ice cream sandwich, the buttery, crispy sweet bun warm and fluffy, enveloping what’s basically a gooey mini sundae. 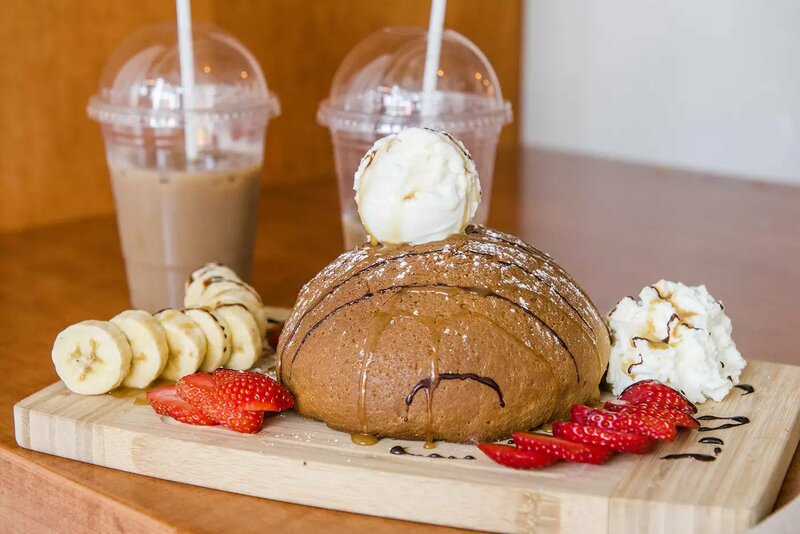 The Works ($10) is the most extravagant of several Bun Creations made using the roti bun as a basis, with strawberries, banana, whipped cream, ice cream and caramel and chocolate sauces. These really feel like waffles or pancakes, maybe based on my associations with these ingredients, but it’s certainly not like any breakfast I’ve had before. 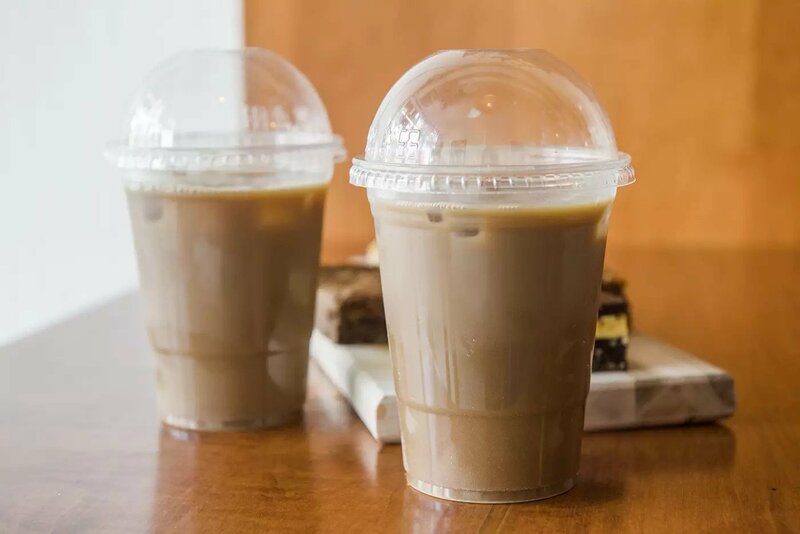 Karak Milk Tea ($3.50 – $4.50) is an aromatic mixture of condensed milk, ginger and cardamom infused with ground black tea. Like a superior South East Asian version of an iced chai latte, it’s soothing and refreshing with full-bodied flavour. 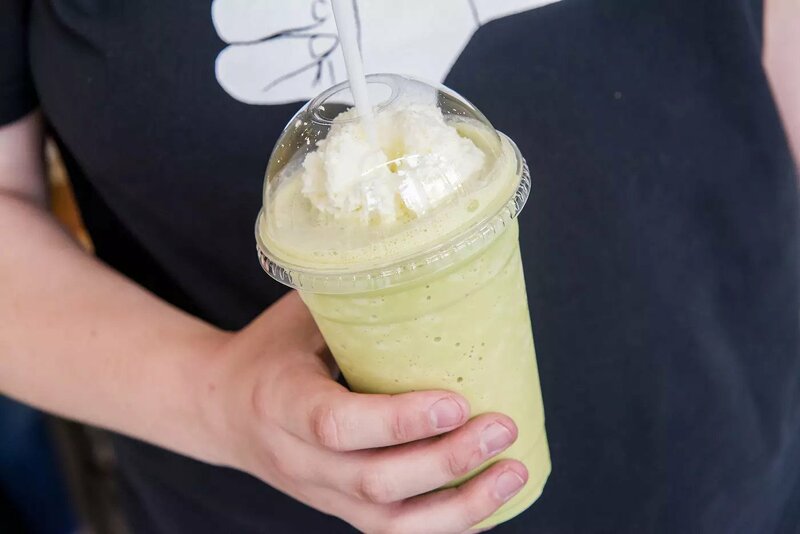 There are also lots of other cafe drink options like a Matcha Tea Frappe ($5.25), a range of espresso shakes, a variety of smoothies, and even fresh squeezed orange juice ($5.50). Buns are available to go by the 4-pack ($14) or 6-pack ($27). Will Toronto fall in love with this new sweet kind of roti out of Malaysia the same way we’ve ferociously adopted its savoury brethren? 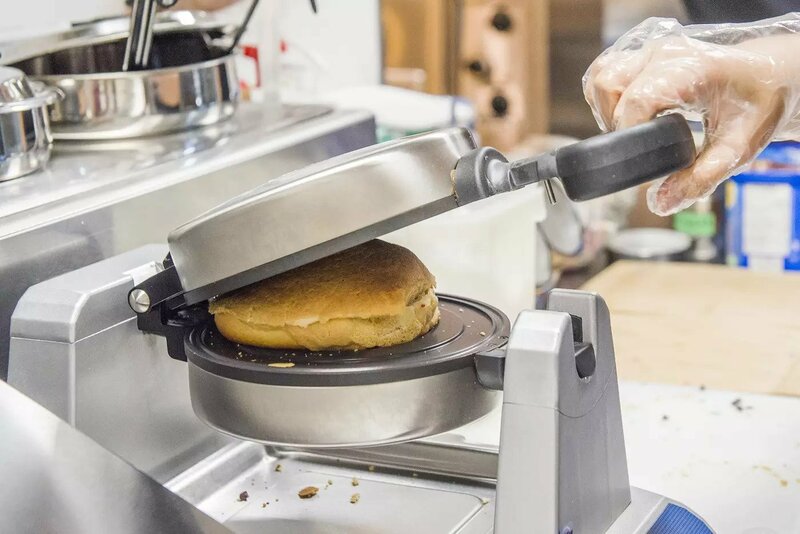 Roti bun fans are getting theirs at over 400 locations in Qatar, Indonesia, England, Australia, Vietnam, Dubai and Montreal, so it only seems logical that Toronto follow suit.